Normally, when I do this feature I do it on Fridays. However, I’m not sure how long this ebook will be available for free. 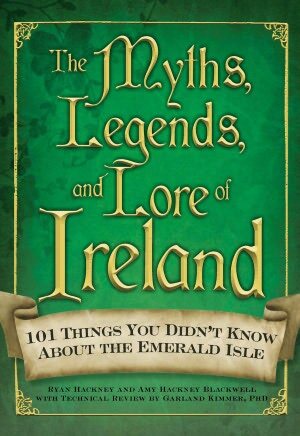 Barnes & Noble has the book “The Myths, Legends, and Lore of Ireland: 101 Things You Didn’t Know About the Emerald Island” by Amy Hackney Blackwell for free right now. The book is 256 pages with tidbit and trivia about Ireland. It also includes some language information as well. This ebook is B&N epub format. Should I Get Rid of My Genealogy Binders?